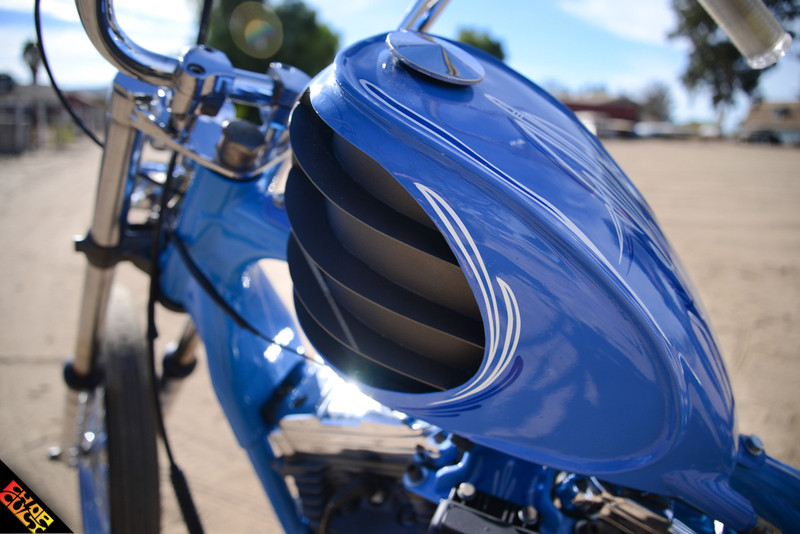 It's easy to say that Slim has helped hundreds of folks achieve their dream motorcycle. Many don't have the tools or knowledge, but they do have the yearning to get on the road. Slim's Fab Farm is located on a quiet back road in Redlands, Ca. The Farm offers a wide array of parts, fabrication, and ground-up builds. Slim has helped ChopCult member Kevin Bosch on a few occasions. 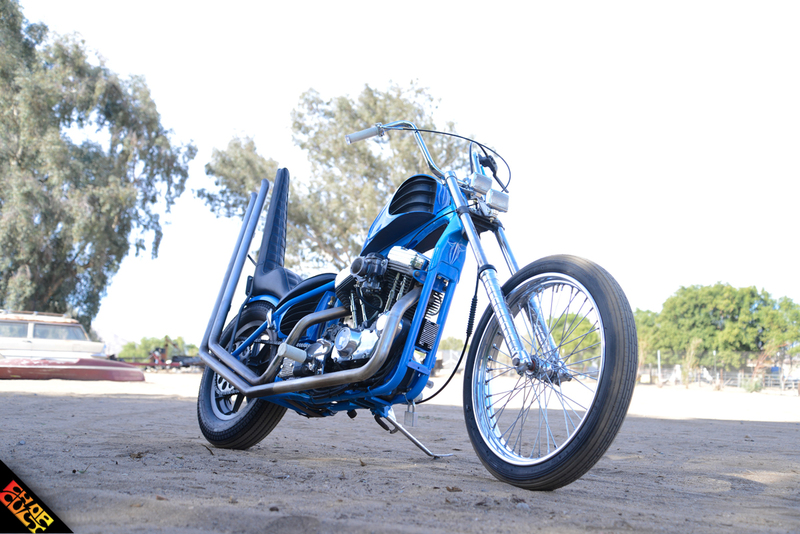 You might remember Kevin's last feature, “A Bike Name Sue.” Kevin recently reached out to Slim to help him with his latest project and the result is a fine looking machine. I first laid eyes on the bike during Moto Fam's Kickoff party at Cook's Corner. I didn't know it was Kevin's bike but enjoyed everything about Vanilla Ice. I asked Kevin to give us a little insight. Enjoy! So, I sold my Evo sporty, built by Slim, and did not have a bike for a couple of months. I was bored at work and searching Craigslist for a sporty when I came across this older Evo. The seller was pretty much giving it away. I called the guy, who turned out to be an old man who lived deep in San Diego, whose passion was clearly sailing and not riding Harleys. Long story short, I texted him in the morning, telling him I would buy it 100%; no questions asked. He told me I need to come asap because 10 people wanted to come that day and look at it. So, I lied and told him I was on my way at 10:00 am when really I did not get off work till 3 -3:30. I just kept telling him traffic was crazy. But, it all worked out. I got there and got a smoking deal; a deal no one would pass up for a running Evo. I did not even get out of the driveway, with the bike in my truck, before I called Slim and told him I was bringing her straight over. Owner name, location - Kevin Bosch, Canyon Lake, Ca. 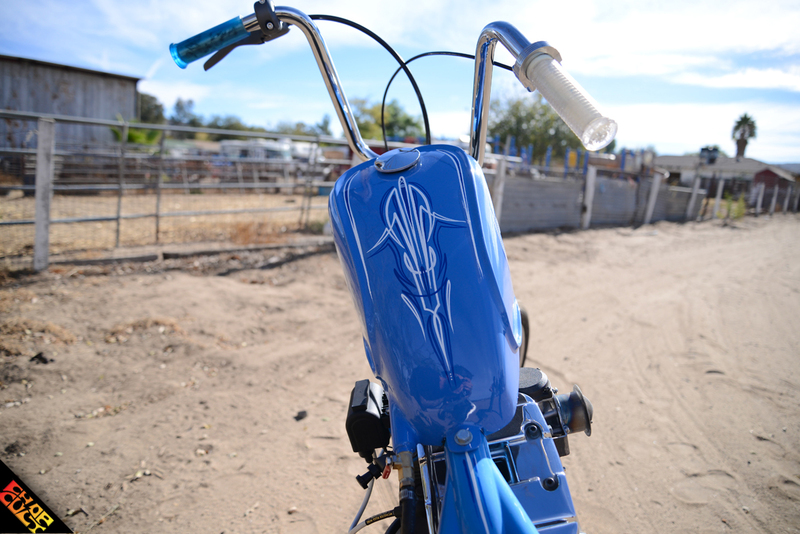 Favorite thing about this bike - Love the baby blue; its super bright. Also, the fab work. 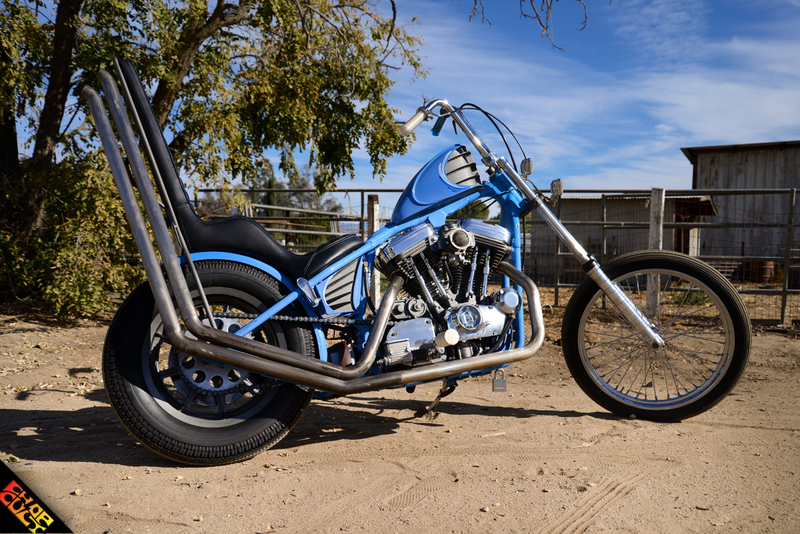 Slim put a lot of hours into this bike. Other mods, accessories, cool parts, etc. - Bike was switched to points ignition. Oil bag is trick with cap hidden under the seat. There are a lot of cool parts to this bike; too many to list. Any building or riding story or info you'd like to include - I brought this bike to Slim Bone Stone about a month and a half before Born Free. He banged it out, painted it, and everything to meet that deadline. I remember the first time I ever rode it was on the way to Born Free this year hoping it would make it. Everything went well. Just a lot of good memories on this build. Working with Slim, clashing our ideas together, really turned this bike into a work of art. Thanks to Slim's Fab and his crew. One of the best dudes I have ever met. We have turned into really great friends over the years. Kenny, for doing my seat and pin-striping. Angel, for his help and his Gramps who killed it on bringing the chrome back to life. The tank and oil bag are absolutely awesome. Great work all around. 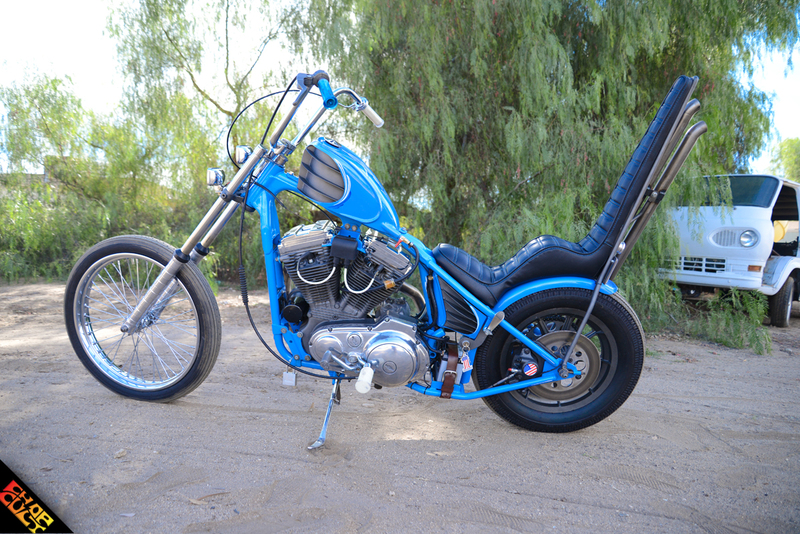 Great looking bike, nice work!!! Why you hate Craig's list ?